 iAsk x China Daily | How Did A Mother Become An Entrepreneur? However, in the highly competitive photography industry where few start-ups survive, her VPhoto has secured a top place in the real-time image sector. With eighty million pictures, it has won the global media award for the most innovative organization. During a period of capital crunch, the business received funding from Frees Fund, Qingsong Fund, OFC, Tianhe Cultural Industry Fund and Stone Capital in less than a year after launch, raising nearly 100million yuan. Some described Cao Yumin as a disruptive force of the photography industry; shedenied, “my ability is limited therefore I need to speed up the industry”. The traditional photography industry is so inefficient that it used to take several days for photographers to shoot and select photos. It only takes 10 seconds for a VPhoto photographer to shoot a picture and send it to the cloud; and it only takes 3 to 5 minutes for a PS expert to edit the photo in the cloud. By connecting to a live photo album, users can enjoy real-time photo broadcasting tailored to their needs. Cao Yumin has increased the efficiency of the traditional photography industry by at least 300 times. Refusing to be labeled, Cao Yumin is changing the definition of photography. We tend to record the past with images, but she believes images are not only about the past, but also about the present and even the future. Gloria Ai : Why do you want to build a photography platform? Cao Yumin: First of all, I am a mother. I used to be a woman who did not even take wedding photos, After getting pregnant, a photo of my child changed my life. At the beginning, I didn’t want a child because I felt he might affect my career. I kept the child because of a photo and then reconsidered my life. I felt sorry for what I thought before. I didn’t want to miss this one again. Maternal love is what brought me to the photography industry. Initially, I just wanted to do a small business. I didn’t expect it to grow big and just wanted to run a small studio. But maybe it’s because I used to do finance, the business grew naturally. When the business was small, it grew very fast through organic expansion. One studio turned into two, and two turned into three. After working in the image industry for six years, I finally found out it had too many pain points that I couldn’t stand. So we wanted to change them. Gloria Ai: There are numerous photography start-ups. After the frenzy of entrepreneurship, most start-ups fail. We find out by accident there is a female entrepreneur who once worked on finance. Her photography platform called Vphoto has survived. It’s still alive. Why? Cao Yumin: No matter what I do, if I think I like the industry and feel I have the ability to do it, I am the right person to do this business. I don’t really think about if others in the industry are alive or not. If I believe I can do it well, I’ll just do it. Gloria Ai: I heard that Cao Yumin from Vphoto is starting a revolution in the photography industry? Cao Yumin: It can’t be called revolution. Maybe it’s more about speeding up the development of the industry. Many people ask why it is called VPhoto. V is the symbol representing velocity in physics. The reason why I named it VPhoto is to speed up the development of the photography industry. Many people said you were a disruptor and a revolutionary, I think it sounds a little too extreme. I don’t think I am someone who has the power to revolutionize the industry. I’m just giving it a push to speed things up. But we make the industry not just several times faster, but 300 times faster than before. So generally speaking, one will feel that the industry has really changed a lot. Gloria Ai: Are you anxious? Cao Yumin: I am not anxious, but I always have a sense of crisis, because this is my third attempt to start a business. When we first started a business, we were young and had very high ambition. I felt my business would become a world-class one. We did cloud computing earlier than Alibaba. When I started my second business, I was more pragmatic. This is my third attempt. Gloria Ai: In China’s business and investment circles, are you unique? Cao Yumin: I think everyone is unique. Gloria, you are also unique. You are also a very special woman. No matter women or men, anyone who starts a business is the bravest. When we started our third venture, I discussed with my husband about whether we should build a platform or just spend more time with our child. When my second business was small, there were three or four months each year when I can took my child on vacation abroad. I really enjoy it. Later I thought about in building such as platform, what must we face? In fact, before doing one thing, I had basically thought of its worst result. Gloria Ai: What is the worst possible result of VPhoto? What is the worst possible result for my start-up? Cao Yumin: The worst result is that I failand go back to work as a CFO. Gloria Ai: This is something most entrepreneurs dare not say. You say it out loud. Cao Yumin: At that time, we also calculated how many houses there were in the family and how much assets we could take out. The third time I started a business, I was basically financially free, so there was nothing to worry about. I really did the calculation myself. My husband and I drew the worst result, the best result, we should give up, and what opportunities we might get on a piece of A4 paper. Finally, we decided to go ahead without fear.